The “Ayo starring Voices of Glory” is one of the most captivating Branson shows where the three siblings Nadia, Michael, and Avery Cole bring their powerful and harmonious music at the Hughes Brothers Theater. This trio has captured the hearts of the nation after they placed in the top 5 finalists of America’s Got Talent for the 2009 season. This year 2016, the show runs from April 11 through October 24 with daily schedules at 10 am, 2 pm, and 8 pm. This Branson show is custom-made for every family who loves beautiful music performance by the talented and charismatic young singers. As you watch the “Ayo starring Voices of Glory” show in Branson, you will get to enjoy a variety of music from gospel to contemporary hits. The siblings have performed together since 2007 when they started singing at the bedside of their critically injured mother. The enchanting youngsters have found their vocal ability that’s truly a gift for them. Along with their devotion, that gift helped their mother recovered, and she remains active up to this time in their careers. 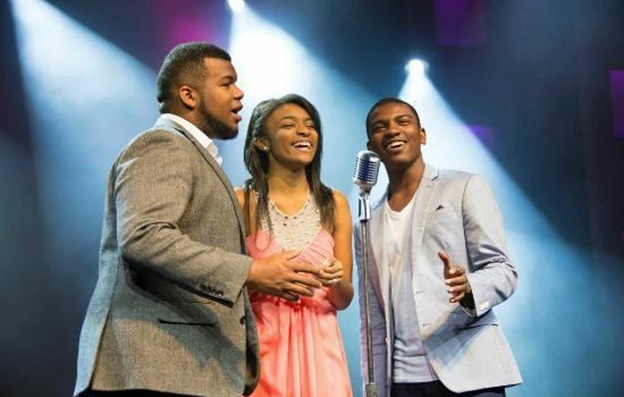 The Cole siblings continued to perform together and had the opportunity to be known by millions across the country as The Voices of Glory when the judges on America’s Got Talent were impressed by their great performance and they went on to place in the top five on the popular NBC TV talent show. The trio have performed also at the Dove Awards, the Andy Williams Christmas Show, and at a variety of events in Branson. The word “Ayo” is a charming word for joy in the Nigerian language of Yoruba – it makes them especially convenient to name their Branson show. The trio have lots of engagements with morning shows, and many other performances in the afternoon, as well as a few evening shows. No matter what time slot you choose, you are sure to be thrilled by the exceptionally charming, polite and gifted siblings that will set an example for all the youngsters in your family. Come bring the whole family to the “Ayo starring the Voices of Glory” in Branson, and watch the amazing show with brilliant vocals and first-class performances. This astounding Branson show is sure to captivate the hearts of the audience as the trio delivers an epic adventure in sound, light, dance, and joyful emotion which are sure to give you an unforgettable musical experience. While the Cole siblings shared their music with the world, they continued to perform in various entertainment venues throughout the country. They have performed at some amazing music venues that include the GMA Dove Awards, Madison Square Garden, and multiple appearances at the ICM Awards. As you watch them perform, you will be taken to a fantastic journey that will have you singing and clapping till the end of the show. So, don’t miss to see the amazing performance of the three siblings in the Ayo Show where their harmonious and powerful music is sure to inspire everyone.